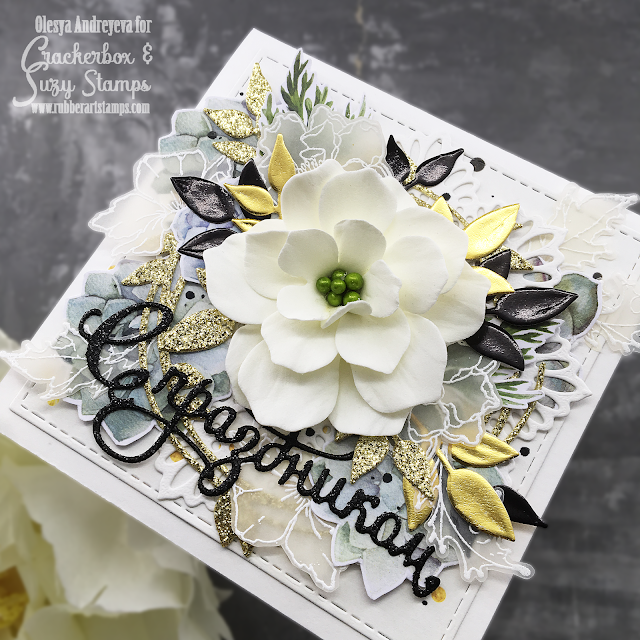 As if by magic by Olesya Andreyeva: Rinea foiled paper/ Crackerbox&Suzy stamps. 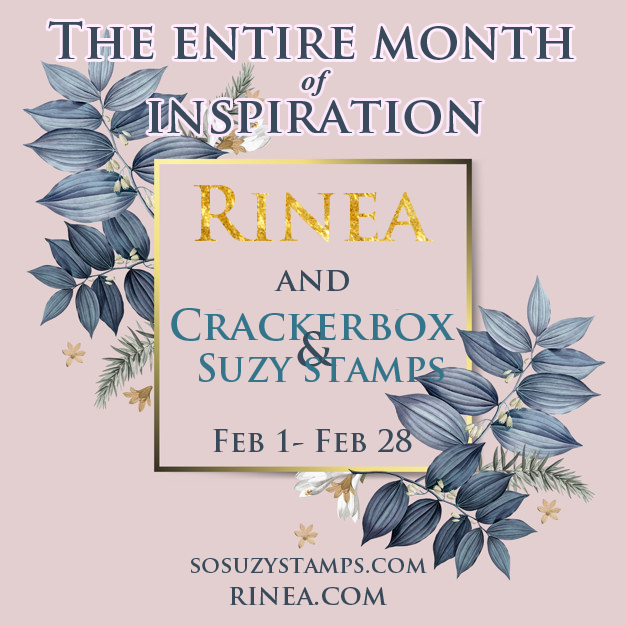 Rinea foiled paper/ Crackerbox&Suzy stamps. Today I'd like to share with you my layered card using Rinea foiled paper and Crackerbox&Suzy stamps. I rarely do multi-layered cards but really like them. 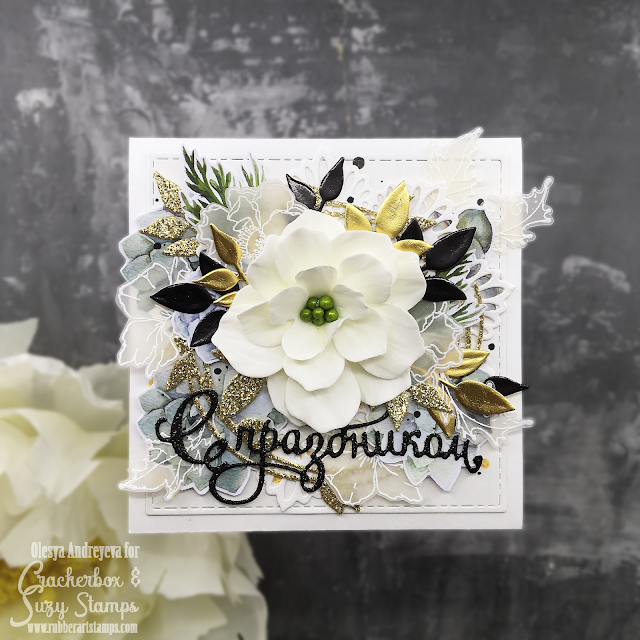 I made clear impressions with all the stamps, and heat embossed them in white on vellum. 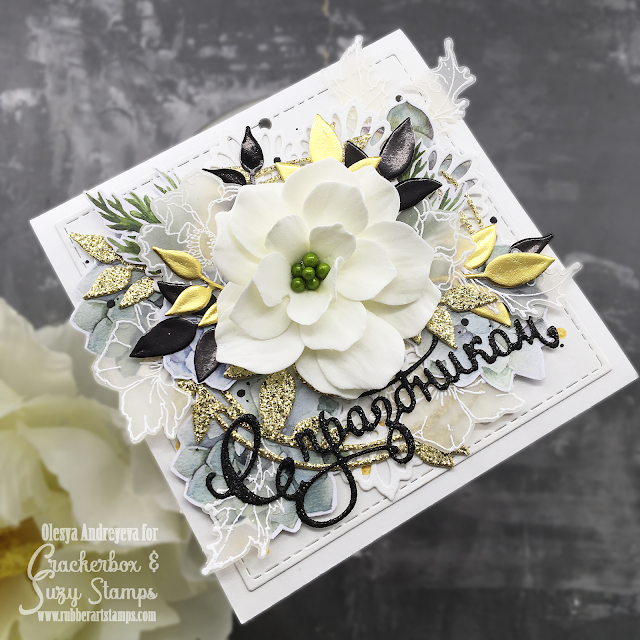 Created a flower with foamiran and die cut a bunch of leaves out of foiled and glitter paper, added some cut outs from patterned paper. The sentiment means smth like Congratulations.